Motivation is important for learning. It is often assumed that children with intellectual disabilities are less motivated than other children. Recent research suggests this might not be the case: children with Down syndrome can be as motivated as other children at the same stage of mental development. One recent study matched 33 children with Down syndrome, aged 10-15 years, with 33 typically developing children with similar mental ages and vocabulary comprehension (aged 3 to 8 years) and used a number of tasks to evaluate aspects of motivation - curiosity, preference for challenge and persistence at difficult tasks. This study reported no significant differences between the groups on these tasks - in other words the children with Down syndrome were as motivated as typically developing children at a similar stage of mental development. Interestingly, this study included children with Down syndrome who attended special schools and also children in mainstream placements. The study found no differences in motivation between the two groups even though the children with Down syndrome in the mainstream settings may be more challenged, experience more failure and be more aware of the differences between their achievements and those of their non-disabled peers. 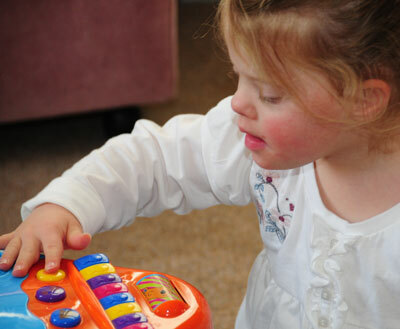 This study also reported that children with Down syndrome who were more interested in social engagement performed less well than other children with Down syndrome on one measure of persistence. This may be because these children are more likely to seek adult help quicker and be more adult dependent than the children with Down syndrome who were less interested in social engagement with adults. Therefore, when no adult help is available they give up more quickly. Finally, this study also reported that the parents of the children with Down syndrome were more likely to rate their children's motivation lower than the parent's of the typically developing children rated their children. One possible explanation for this is that the parents of children with Down syndrome were assessing their children in relation to the motivation they may see among children of a similar chronological age (rather than other children at a similar developmental stage). Another study of younger children reports similar findings. This study looked at motivation in 45 infants and preschool children with Down syndrome compared to mental-age matched typically developing children. It reported no differences in motivation between the two groups, but also reported that the parents of the children with Down syndrome rated their children as less motivated than their typically-developing peers. This study also reported that the parents of these young children with Down syndrome were significantly more directive with their children than the parents of the comparison children. This directiveness could possibly reduce the children's own motivation if parents step in too quickly and encourage dependency on adult assistance. Another study of 4-6 year olds with Down syndrome also suggests that maternal directiveness may have a negative effect on the children's motivation, while support for autonomy had a positive effect. However, this study reported that the mothers of the children with Down syndrome were not different in their supporting behaviours or language when compared to the mothers of mental age matched non-disabled children - making this a complex picture - the maternal support behaviours had different effects for the children with Down syndrome. Importantly, a longitudinal study has shown that motivation measured as persistence is a stable characteristic through childhood and predicts academic performance. In a study of 25 children with Down syndrome, their persistence at 4-6 years predicted their academic achievements (reading, maths) at 11-15 years, even when differences in their cognitive abilities were taken into account. 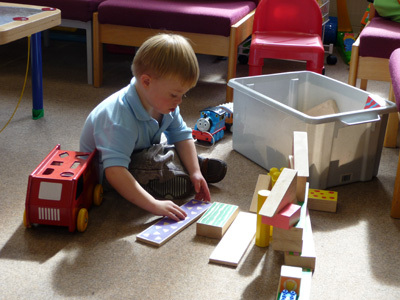 The evidence of the stability of motivational behaviours from infancy and preschool years to later childhood has significant implications for early intervention programmes. It is important that parents, early interventionists and teachers understand that too much directiveness and providing adult help too quickly may actually undermine a child's motivation. 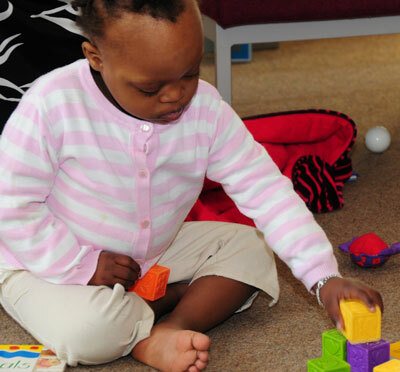 It is also important that parents and teachers know that school age children with Down syndrome are not less motivated or less persistent in problem solving or learning situations than other children at the same cognitive level. Cognitive level is the relevant guide to their performance not chronological age. 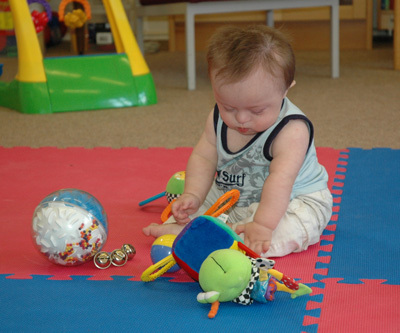 Parents and teachers need to give children with Down syndrome plenty of time to work at a task before offering help. It is important that children are able to experience the success that comes with doing something for themselves. Adults can plan tasks to support success by breaking them into small but achievable steps.